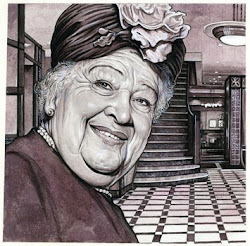 Drew Friedman is an award-winning illustrator whose work regularly appears in dozens of major publications. For years he was renowned for his "stippling" style of caricature, employing thousands of pen-marks to achieve photographic verisimilitude, but in recent years Friedman has switched to painting. His painstaking attention to detail and parodies of Hollywood icons is widely admired. 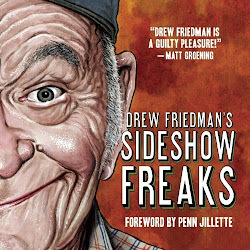 Friedman's work has appeared in Entertainment Weekly, Newsweek, Time, The New York Times, The Wall Street Journal, The New Yorker, The New Republic, The New York Observer, Esquire, RAW, Rolling Stone, and MAD Magazine. Friedman attended New York's School of Visual Arts from 1978 to 1981, studying under such legendary masters as Will Eisner, Harvey Kurtzman, Edward Sorel, Stan Mack, and Arnold Roth. He launched his career in the 1980s writing and illustrating morbid alternative comics, often collaborating with brother Josh Alan Friedman. 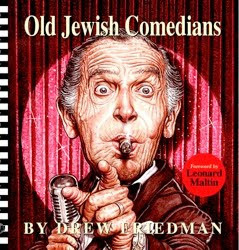 During the 1980s and early '90s, Friedman's comics were published in Heavy Metal, Weirdo, High Times, and National Lampoon. 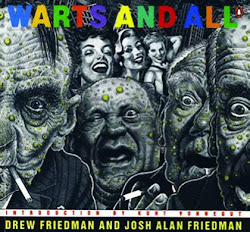 The Friedman brothers published two collections, Any Similarity to Persons Living or Dead is Purely Coincidental and Warts and All. 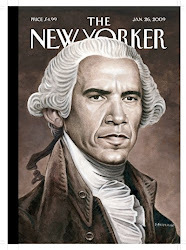 In 1986, Friedman introduced a monthly feature, "Private Lives of Public Figures," for (the now-defunct) SPY magazine; these were collected in a book published by St. Martin's Press in 1992. 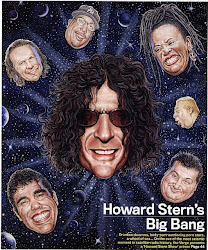 He provided illustrations for Howard Stern's two best-selling books, Private Parts and Miss America. 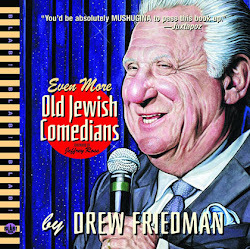 Friedman served as comics editor for the National Lampoon in 1991, and since 1994 has provided front-page illustrations for the New York Observer. 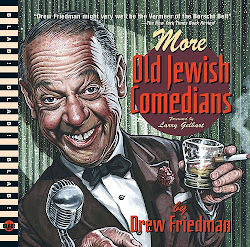 In 2006, Friedman published Old Jewish Comedians, a collection of portraits of famous and forgotten Jewish comics of film and TV in their old age. 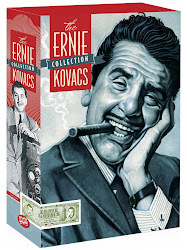 The following year he published a collection of newer work, The Fun Never Stops!, including many comics co-written by his frequent collaborator and wife, K. Bidus. Booklist tabbed it one of the Ten Best Comics Collections of 2007. 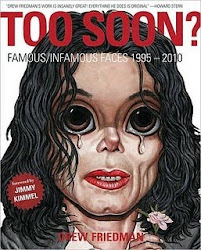 A collection of magazine illustrations and fine art portraits, Too Soon: Famous/Infamous Faces 1995–2010, was published in Fall 2010, followed in 2011 by Drew Friedman's Sideshow Freaks, which presented 50 color portraits of strange and bizarre (and real) circus entertainers from bygone years. 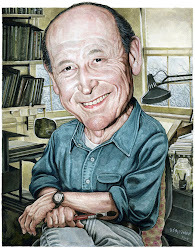 Friedman was recognized for his work with the National Cartoonist Society Newspaper Illustration Award for 2000, and was nominated again in 2002 & 2007. 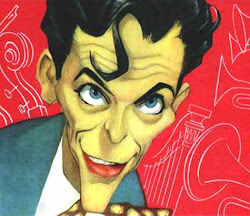 That organization also awarded Friedman their Magazine Illustration Award for 2000. 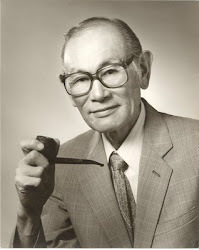 His work has been included in nine volumes of the American Illustration annual. His most recent book is “Heroes of the Comics”, published by Fantagraphics books (2014). What has been the relationship between music & literature in your life and art? How does affect your inspiration? "Charles Bukowski and I were in touch at one point, he enjoyed the regular illustration I was creating for his column in High Times magazine back in the mid-eighties." What experiences have triggered your ideas most frequently? What characterize the philosophy of your artwork? That depends on the circumstance. Obviously, when I get an assignment, I don’t have the luxury of picking and choosing the ideas, at least not every time. In the best of circumstances the art director or editor trusts my instincts and let’s me create the idea, often with my wife’s valuable help and suggestions if I’m struggling to come up with something. But lately, by choice, I’ve taken less and less assignments, I’m trying to concentrate on more personal work, be it Old Jewish Comedians, sideshow Freaks, various musicians I admire, or the portraits I’m now creating for the sequel to my “Heroes of the Comics” book which came out last year, portraits of the pioneers of comic books. It helps if I’m passionate about the subject I’m drawing. As I get older I have less patience to draw someone or something I have no connection to or don’t really like, or hate, even a politician. I just don’t like the idea of staring into the face of someone I detest for several days drawing him or her. It’s unsettling. "I was mostly taken with the art, especially Robert Crumb. His work startled me, even she I was 8 years old and saw it for the first time, I knew I wasn’t in Oz anymore, I had entered a new, forbidden world that I was hesitant about entering but accepted." I really don’t dwell on that. I’m fine with returning to the comics or films I loved growing up of when I was younger, I don’t particularly follow comics very much, aside from a few friends who come out with some excellent graphic novels. 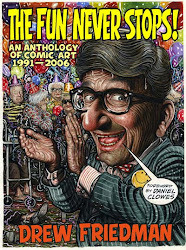 I love Crumb’s work, then and now, as well as Dan Clowes and a few others. Again, I don’t long for the past, I’m perfectly fine with the present— I can’t imagine life without YouTube or an iPhone. I don’t bemoan that movies or comics or books aren’t as good as the used to be, if that’s even the case. I’m perfectly happy to re-read comics and books, and re-watch old films and TV shows, sometimes the same ones once a year. I once said that I think enough movies have been made and there should be a strict law forbidding any new ones being made. I still believe that (laughs), although I have loved several films over the last few years, well, maybe a couple. What do you learn about yourself and what touched (emotionally) you from the underground comix? I was mostly taken with the art, especially Robert Crumb. His work startled me, even she I was 8 years old and saw it for the first time, I knew I wasn’t in Oz anymore, I had entered a new, forbidden world that I was hesitant about entering but accepted. Everything changed for me after seeing Crumb’s work in the first ZAP, I couldn’t go back although I continued reading mainstream comic books and MAD and tried to carry on my life like before. But I was haunted and finally obsessed with R. Crumb’s comics, I still am I suppose. In retrospect, looking back at the OG comix, a whole lot of the material was not very good, badly drawn and written, forced plots and unfunny, but what stood out (for me) and still does is the art, the cream always rises to the surface, from Crumb and several other artists who still remain some of my favorites, and in some cases now, friends. I’d include Kim Dietch, Justin Green, Bill Griffith, Robert Williams, Jay Lynch… I hate making lists because you’ll always forget someone and hurt their feelings, but let’s just say those guys were my heroes, doing by far the most interesting and in some cases excellent work at that time, and they’re mostly still at it. I’m concentrating on creating images of the early comic book creators for my recent book and it’s upcoming sequel, but after EC comics went under in the mid-fifties, the mainstream comics, with a few exceptions, become sanitized, bland and boring. You have to jump a decade or so before things get interesting again and pick up with the underground comics, the inevitable extension of what Harvey Kurtzman was doing at MAD, at least that’s how I feel. Well, just speaking for myself I loved the freedom to put down whatever you felt like on paper, not worrying about constrictions. so that influenced me with my comics and the earlier comics I was creating with my brother Josh in the 80’s. We weren’t concerned about what might be popular or sell, or offending or not offending people, we just wanted to create personal comics to amuse ourselves and our friends, that was it. When more people started paying attention to the work and it was getting published, that was also fine, but finally not enough to make a living on. That’s how I still feel, with few exceptions now, creating work that’s important mainly to me, and in the process trying to improve as an artist. If you could change one thing in the world & people and it would become a reality, what would that be? 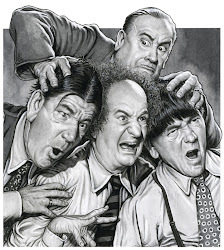 I would bring Shemp Howard of the Three Stooges back to life. What is the impact of comix culture to the socio-cultural implications? What does ‘satire’ mean to you? Not sure about the first question but my gut feeling is the answer would be ...sorry to repeat myself... "Shemp”. As far as satire, I’m not sure, not much of what passes as satire, now or ever, is funny or clever to me or even works on any satiric level. I think hands down the best satire ever created were those first 26 issues of MAD edited and written by Harvey Kurtzman. If anyone were to ask me to define satire I’d say look at and study those and leave me alone. Then, if you don’t get it, become a plumber. I’m far too claustrophobic to every get into a time machine. But If I had no choice I’d probably load it up with 4000 copies of Action Comics #1 with Superman from 1939, for strictly monetary reasons. Then I’d come back and get every Goddamn issue right up on ebay. How you would spend a day with Janis? What would you say to Bukowski? What would you like to ask Zappa? I would probably decline spending a day with Janis Joplin, but if forced, I’d suggest she wash her hair, take a bath and have a nice nap. Charles Bukowski and I were in touch at one point, he enjoyed the regular illustration I was creating for his column in High Times magazine back in the mid-eighties. Frank Zappa loved the first book of comics my brother and I created, “Any Similarity to Persons living or Dead is Purely Coincidental”, he kept it on his piano, there are photos. So I’d just tell him I’m really happy and honored that he enjoyed it.